Free WIFI; car park, we rent bikes:) Cheapest Airport pick up! Free pick up from bus or train station from 8AM-9PM -with our transport facilities for stay 2 nights or more! Internet Arrangement for pick up at least 24 hours before arrival! This Service available between 1st June-1st Oct. Parking lots for our Guests are private, safe and free! Well discounted student price Hairdresser just under the Hostel. *This is the only hostel in ljubljana where you may spend hours playing billiard game with friends. *Bicycle's friendly! We have garage for your bikes and motorbikes! Notice: We always have some double or twin rooms available even if not stated on internet. 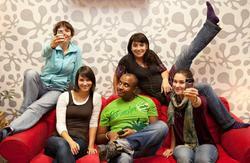 Aladin Hostel is a modern common room's Acclimatized Hostel, friendly for the people from all over the world. 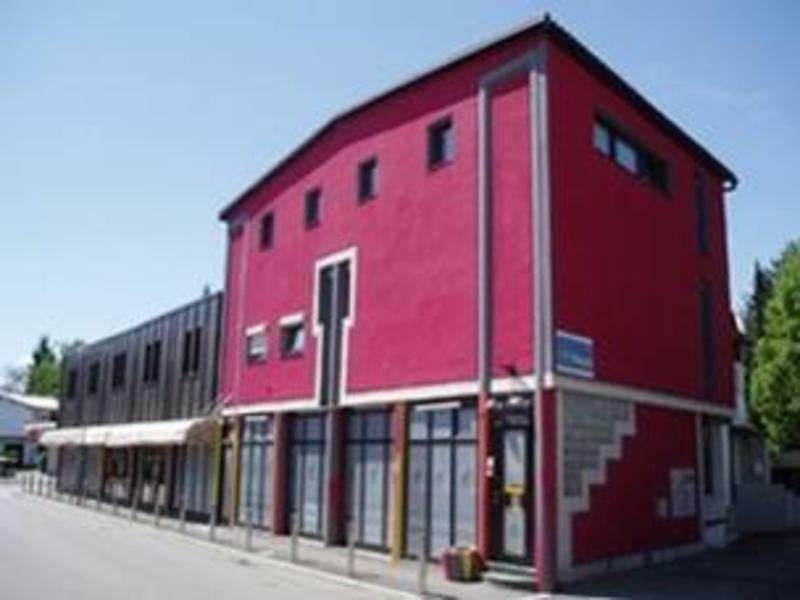 Hostel is situated only 2000m from the city center, 50metres on the right side of Celovska road and also on the way from the Airport, where you wont spend a fortune for private rooms which includes AIRFAN, own bathroom* free internet access and cable TV. It is located in Ljubljana which is an old town with a very developed cultural life; here you will find Cankarjev Dom, several galleries, museums and bars with the spirit of artist as well as night clubs..
We offer single Private Ensuite,Single Private shared bathroom, Double bed Private Ensuite,Twin Private Ensuite, Double bed Private Shared bathroom, Twin Private shared bathroom, Triplle bed room, 4 bed Mixed dorm ensuite, Private apartments with kitchen,privat aircon TV ensuite etc. *Please note: we provide female rooms only as well. For this service guests are asked to arrange in advance with confirmation from the hostel. New Self service 'Pool table Cafe/Bar' offers you market price food and drinks with nice music in relaxing atmosphere! Here you may have a chat with other friends from the Hostel or with the people around the world using free internet and skype. Guests may take advantage of using free local calls to call a friend or taxi service etc.,7 TV's, with 170 international programs of your choice and you are only 15metres away from local food&fruit market. Guests may have their hair cut and newly designed in a modern hairdresser just under the hostel. We have three common room's with TV, in case you like to have some privacy! CHECK IN in the months other than Jun, July, August and Sept. is upon tel. call! Hostel guests are kindly asked to stick with the hour on reservation list. If there is delay on arrival we will be happy to wait you at any hour, just inform us Please! We do not No charge for this service! Cancellation or non arrival will be charged for the first night, if done so not prior than 36 hours before arrival Day! In the time of New Year we only except bookings of 2 nights minimum! In time from 27th December to 3th January bookings have to be cancelled at least 7days prior to arrival date, no cancellation or no arrival bookings, will be charged at full amount of the booking. Bookings made for high season and for more than 7 days will be charged in full if cancellation not reported to Hostel e mail 7 days prior to arrival. Just a short walk out of the City Center(2000m), However if you have lots of Language, take Bus Nr. 25-direction North(Siska) and get off on the 6th Bus stop! Same Walking distance (2000 m) from Hostel to the famous night life; pubs, cafes etc. If you order Taxi (ask for price-should be around 4 only),Just ask for Aladin hostel, Tugomerjeva street No.:56! . Walking; You must go to Celovka road and at the Bus stop called - REMIZA, you get off the Bus. You cross the traffic lights back towards the city center and across the Celovska road. Once you are turned toward the city center, just turn right on to the first street called Tugomerjeva street, where you also find ALADIN HOSTEL sign! 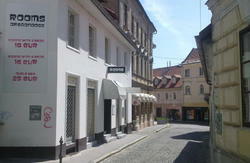 Look down the street and you see Big, RED-painted building -The Aladin Hostel -100m down the street on the right side. You can not miss it. Ring the Bell at the front door and the receptionist will let you In! Our guests have 50% discount rate on taxi to airport&train&bus station, (with our own transport facilities only!) Please request this service on the reception desk or by phone in advance. Arrivals after 10 pm should be appointed. Please do not hesitate to give us a call if train, bus or plane arrive after this hour!